Although I post about makeup and skincare regularly on this blog, I’m far from what I would consider an expert. There are so many more knowledgeable sites devoted to skincare, that I think it’s most relevant to you if I focus on sharing the products that I have used myself – learning by trial and error. 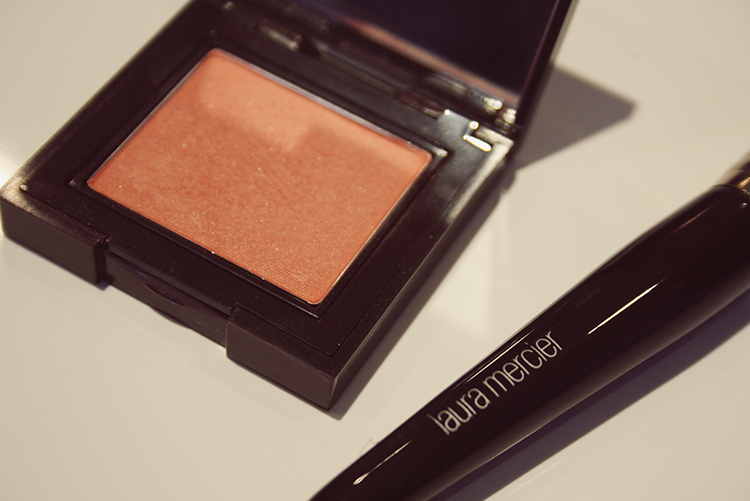 Today I’m sharing my experiences with Laura Mercier makeup products, trying to achieve a flawless skin. The most important product is my moisturizer with SPF. Everyone knows that it is important to wear a good protecting sunscreen in the summer, but many people forget that even in the winter our skin is exposed to harmful UVA and UVB rays. To reduce the aging of my skin I apply SPF products every single day. I have started using Laura Mercier Flawless Skin repair Crème SPF15. It feels great and provides enough moisture for my face without making my face shiny! And a good thing is, the jar lasts forever because you only need a pea size drop for your entire face. I apply a foundation primer before starting with makeup to prep my skin, this is where flawlessness begins! 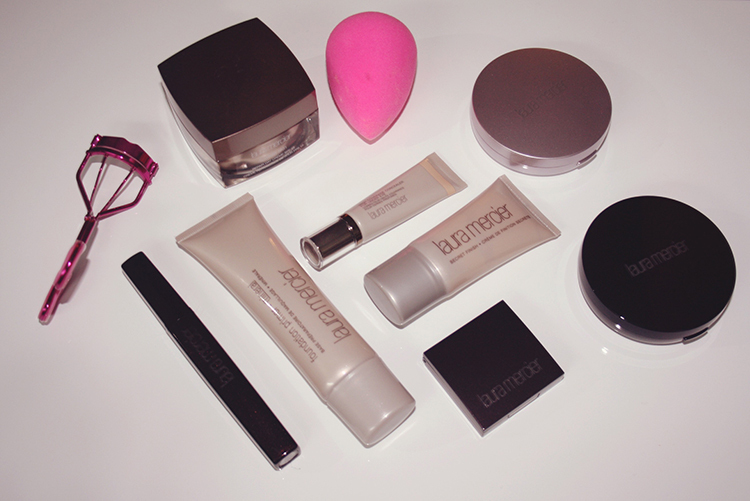 I have tried many brands of primers and the Laura Mercier foundation primer mineral is truly one of the best. It visibly improves the appearence of your skin and helps makeup to stay fresh and color true. The best part for me, though, is that it makes my pores unnoticeable and it controls the oily parts of my face, but doesn’t dry out the less oily parts. 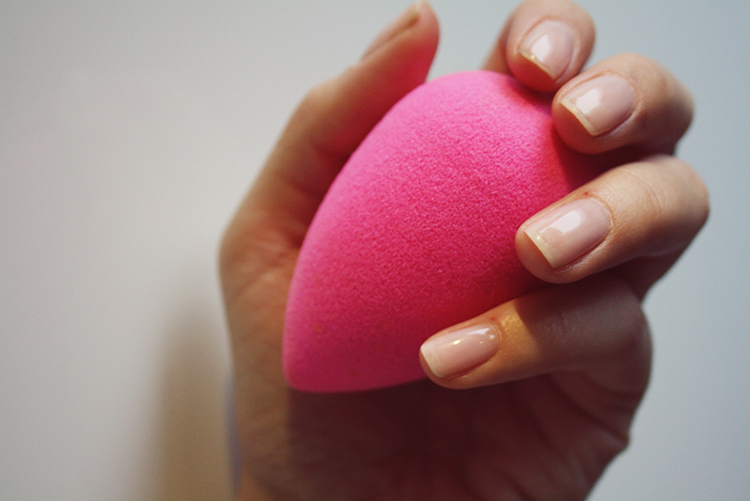 I’m a big fan of the Beautyblender for its natural effect, it is hands down my favorite beauty tool. This sponge applicator allows you to flawlessly apply your makeup. Instead of reaching for different brushes to apply makeup, I like to use the Beautyblender with my foundation, sculptor stick, cream blushes and concealer! The narrow side works amazing for blending in around your eye area and the round bottom and sides are great to use on the rest of your face. I love the Laura Mercier Tinted moisturizer creme compact broad spectrum SPF 20 – natural. You apply it almost like a foundation, but just a touch less thick, just perfect for my skin. It is easy to use without getting messy and perfect for travel. 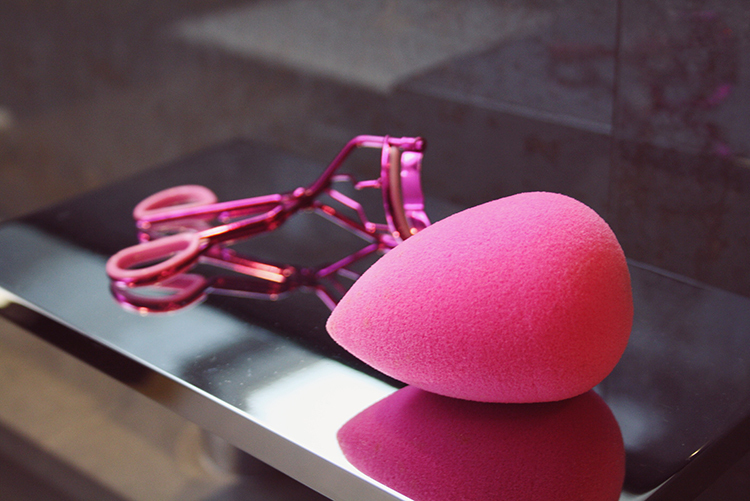 Start by rinsing the Beautyblender with water and wait for the sponge to absorb the water until it becomes bigger and feels fluffy. 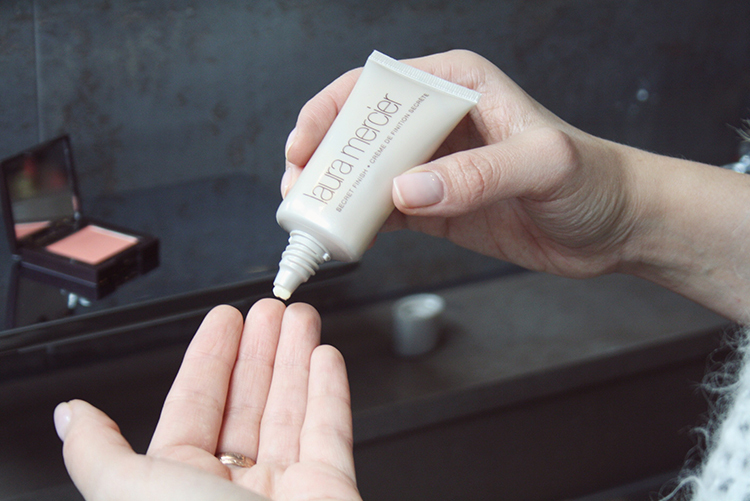 Then, dip the Beautyblender into the tinted moisturizer, and sort of press and roll the makeup into your skin. To get a light coverage it requires just one layer. I like a medium coverage so I’ve applied two thin layers using the same technique. Oh, and don’t forget to blend your foundation onto your neck as well to make it look as natural as possible. To cover up dark circles I use Laura Mercier High coverage concealer for undereyes – 1 but it’s also perfect for blemishes! It sticks right onto my pimples, and conceals them nicely. I apply a few tiny, pin head size points right under my eyes and use the Beautyblender to blend it in with the tip, as it allows you to work very precise. I find contouring a great tool to accentuate your natural features, or maybe even cheat the ones you wish you had! I use Tarte’s The Sculptor. This pencil works great and makes small details work easy. I apply it down the sides of my nose, under the hollows of my cheekbones and along my hairline and blend it in with the Beautyblender. But every face is different, so learn the contours of your face to know where to apply the product on your face. The Laura Mercier smooth finish foundation powder – 05 gives my skin great coverage after dusting it over my tinted moisturizer. It is easily buildable and doesn’t look cakey at all. Unfortunately I’m not blessed with extremely long and dark eyelashes. So I have to do quite a lot of work to get my eyelashes to pop and stand out the way I want them to. To achieve this I start by using a eyelash curler. Simply open the curler and slide it onto your upper lashes. Slowly close your eyes halfway to ensure that they all get inside. Then squeeze it and hold for about 5 seconds. Now it’s time for mascara! I used Laura Mercier Long lash Mascara, applying multiple coats to both my upper and lower lashes. To finish the flawless look I apply the Laura Mercier second skin cheek colour – Lush nectarine gently onto the raised parts of my cheeks. I feel a tiny blush goes a long way so I start by applying only a small amount of product and then build up to my desired look. LAURA MERCIER SECRET FINISH This secret last step helps to set my makeup, to get rid of a powdery feel and leaves my skin with a bright glow. I pour a little bit of the product into the palm of my hands, rub my hands together and pat carefully all over my face. 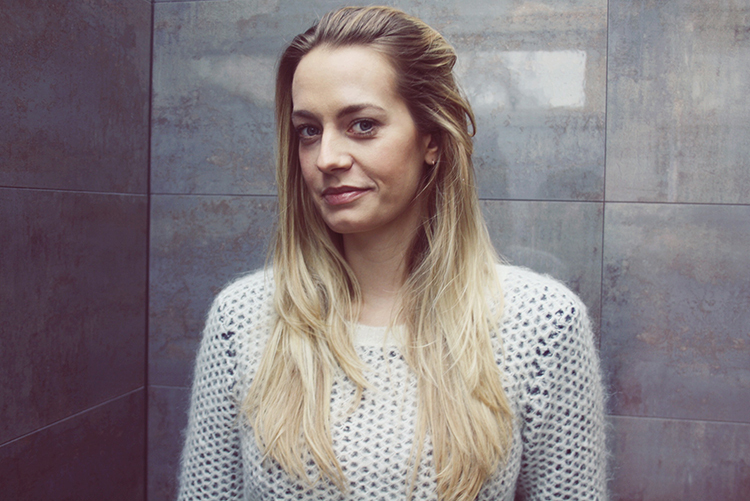 After a minute, the products sets in and the skin is left with a healthy and fresh look. Posted in BeautyTagged and a thousand words, Flawless face, Laura Mercier, Tarte, the sculptorBookmark the permalink. 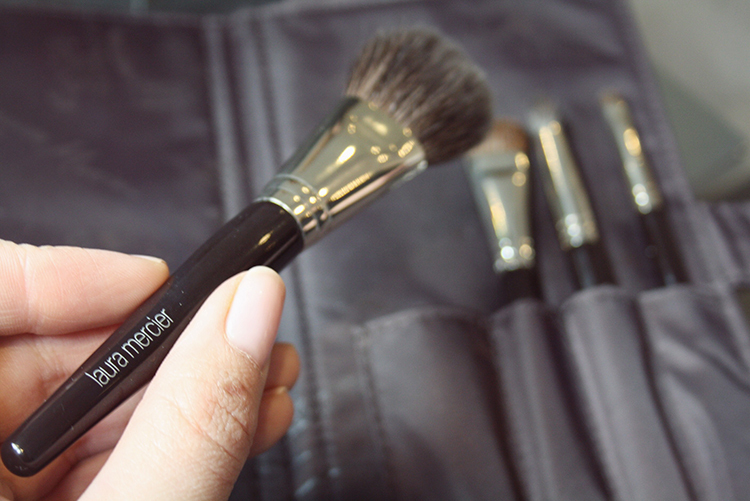 I love Laura Mercier! Love the look!